Is this hit Android and iOS app the next Words With Friends? Have you downloaded Draw Something yet? If not you'd best head to the Google Play Store or the App Store and get on board as it's all set to become the number one social gaming endeavour on both platforms. 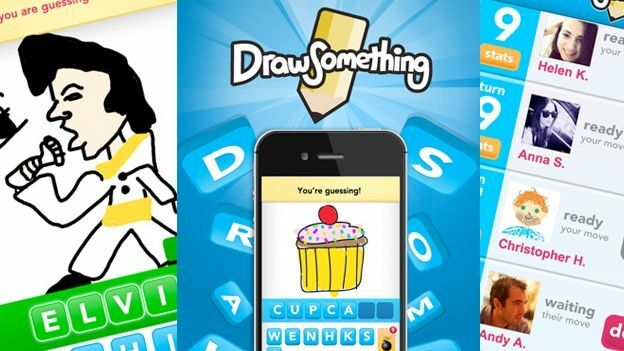 The Pictionary-like Draw Something game, which allows users to draw using the touchscreen and also guess their friends' creations, has been downloaded a whopping 20 million times since its launch five weeks ago. The ad-supported free app or 69p premium app (reduced from the original asking price of $1.29), encourages users to challenge their Facebook and Twitter friends to Draw Something challenges. You can also have a random match-up. The game developed by the OMGPOP studio is currently topping the Android and iOS charts and could soon rival Zynga's Scrabble-inspired Words With Friends for popularity. The game's 12 million active users have already generated over one billion drawings.